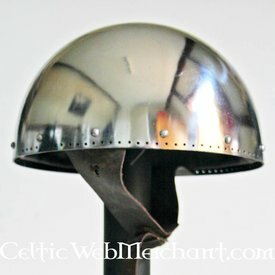 This helmet is made after a 13th century original. 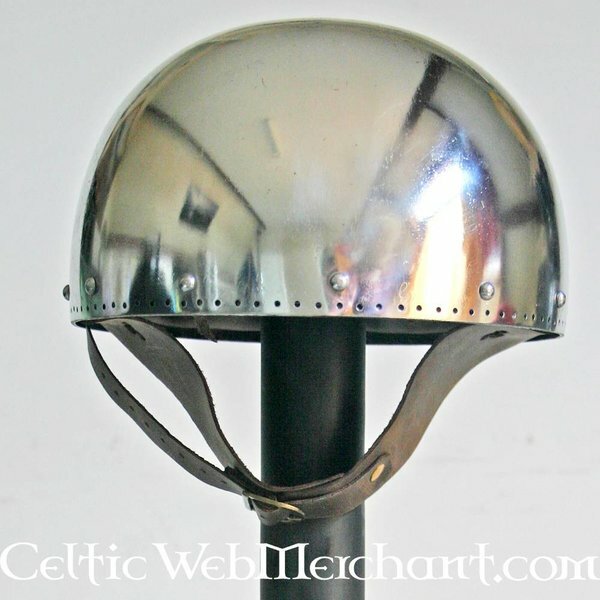 Helmets like this were worn in large numbers between the 13th and 16th century in whole Europe. The secret was mostly worn underneath the large helmet, that was taken off during duels. This way the head was protected, the wearer had a full field of view and his breathing wasn?t hampered. This secret is made of 2 mm thick steel. The three parts are screwed together. Holes are applied to the side and the back, this makes it possible to attach an aventail. 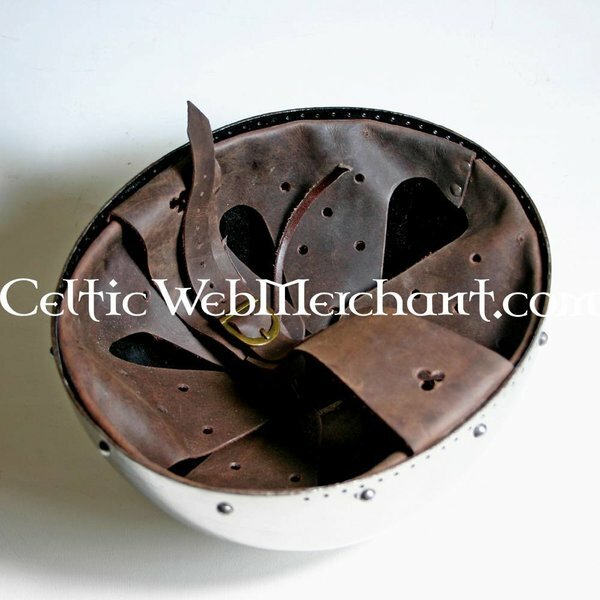 The interior has a leather inlay and the helmet can be fastened with a chin strap. The secret is available in several sizes. Size S is suitable for a head circumference up to 59 cm and weighs 1,6 kg. Size M is suitable for a head circumference up to 61 cm and weighs 1,6 kg. Size L is suitable for a head circumference up to 62 cm and weighs 1,7 kg.